As predatory publishers continue to grow in the world of academic publishing, it is important to understand the risk associated with these spam attacks. Predatory publishers are opportunistic publishing venues that exploit researchers and professors based on academic need to publish their works, but offers little to no reward for using those services. These predatory publishing organizations primarily focus on economic gain while neglecting the equality of the research, including lack of peer-reviewing and professional editing. The scam works by the predatory publisher claiming to be a legitimate open-access operation and targeting the existing works of researchers and professors. They will make false claims regarding the practices of the organization and proceed to offer submission to the journal for some amount of money. The payment options will often be limited to credit card or direct wire transfers to the sender of the email. How do I identify predatory publishers? 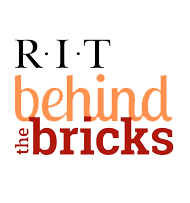 What is RIT doing to protect me?